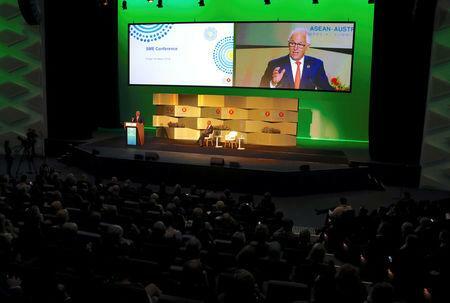 SYDNEY (Reuters) - Australian Foreign Minister Julie Bishop said she will raise human rights concerns with Myanmar and Cambodian leaders during a three-day summit of the Association of Southeast Asian Nations (ASEAN) that begins in Sydney on Friday. 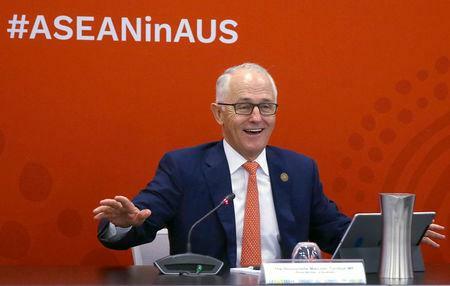 Australia is hosting the special meeting, despite not being a member of the 10-nation bloc, as it seeks to tighten political and trade ties in the region amid China's rising influence. Bishop said that Australia would "very seriously" consider any formal invitation to join the grouping, a move advocated by Indonesian President Joko Widodo. Asked whether the meeting was a direct counter to China's growing interest in the region, Bishop said Australia believed the bloc brought it "peace, stability and security". 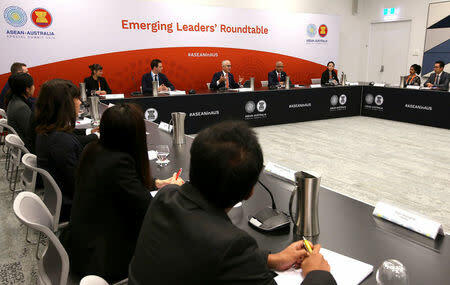 "We don't see it as having a role to balance the powers in the Indo-Pacific but rather be at the heart of the engagement collaboration with other countries," she told Australian Broadcasting Corp radio ahead of the opening of the summit. Australian Prime Minister Malcolm Turnbull is under pressure to publicly condemn the deaths and expulsion of thousands of Rohingya Muslims from Myanmar's Rakhine State in recent months. "It is in our interest to engage all ASEAN members including Aung San Suu Kyi at this summit because it gives us the best chance of influencing outcomes and making our concerns known, so these are matters that we would be discussing with the Myanmar delegation," Bishop said. Hun Sen, meanwhile, stirred anger in the local Cambodian expat community when he warned potential protesters against burning effigies of him in Sydney, saying: "I will follow you all the way to your doorstep and beat you right there ... I can use violence against you." Asked about the threat, Bishop said Australia was "certainly going to raise our concerns with the Cambodian delegation."